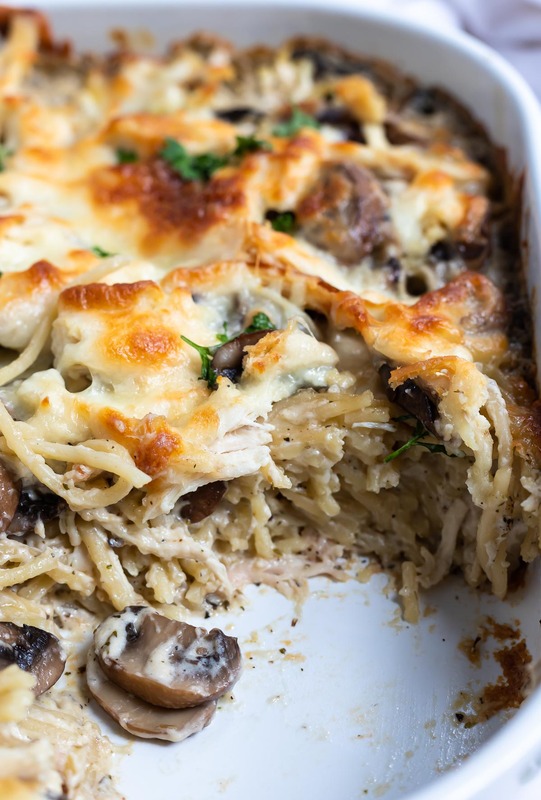 This Easy Chicken Tetrazzini Recipe is the end all, be all of comfort foods. 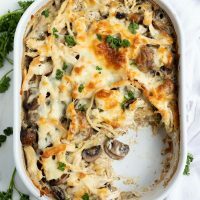 Basically, it’s a pasta, mushroom, and chicken casserole overflowing with cheesy cream sauce. 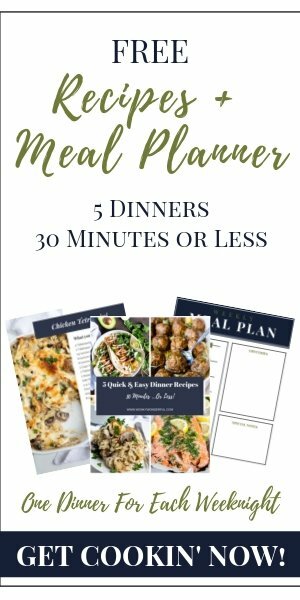 Even better is how quick and easy this meal is to prepare. It’s simple enough for a weeknight dinner. Making Chicken Tetrazzini is very simple. Just a few basic ingredients and you have the ultimate comfort food dinner. Just one more reason I love shopping at Safeway! Safeway has the best staff, freshest produce, and the MONOPOLY Collect & Win game. I’m playing the MONOPOLY Collect & Win Game for the first time this year. I watched my Mom play the game last year, and she won several grocery gift cards. So, I figured I should get in on the fun. Play along with me! 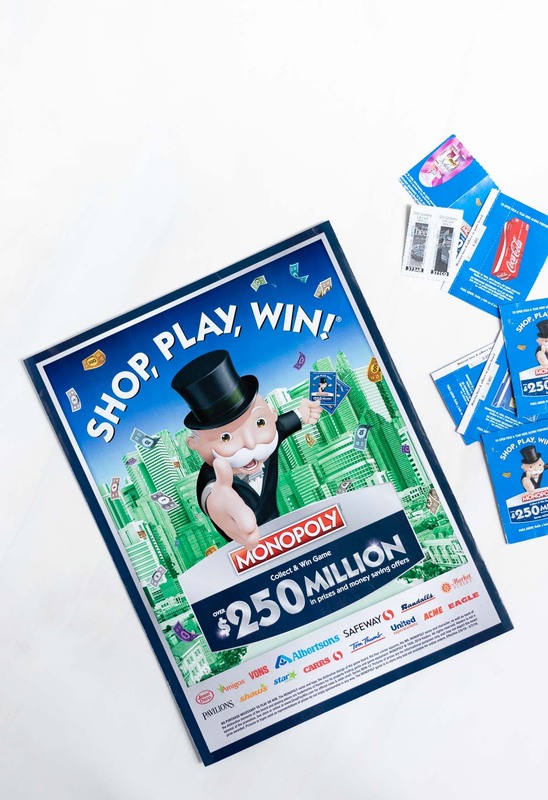 All you need to do is get a MONOPOLY Collect & Win game board, then shop for participating products to collect game pieces. With the game pieces, you also get coupons, online game codes, and more. Input the game codes online at www.ShopPlayWin.com or download the Shop, Play, Win app to easily scan codes and track your game markers. 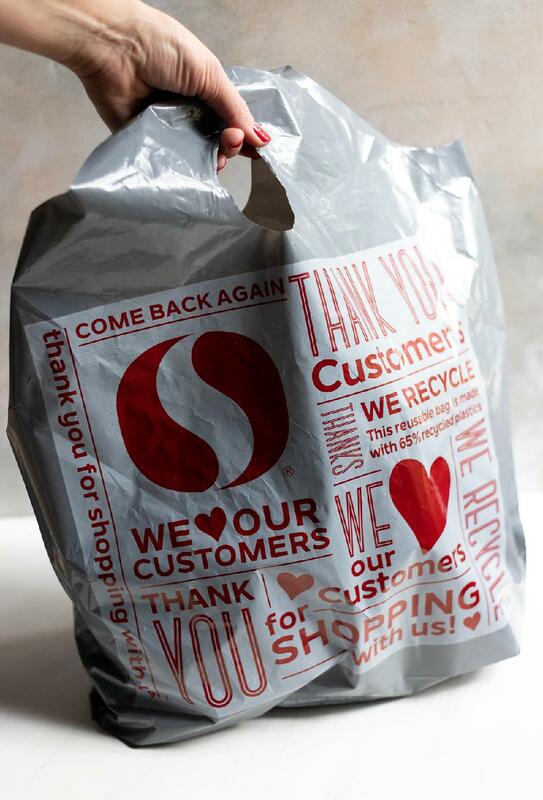 What’s better than bringing a little more fun and excitement to your weekly grocery shopping trip?!?! 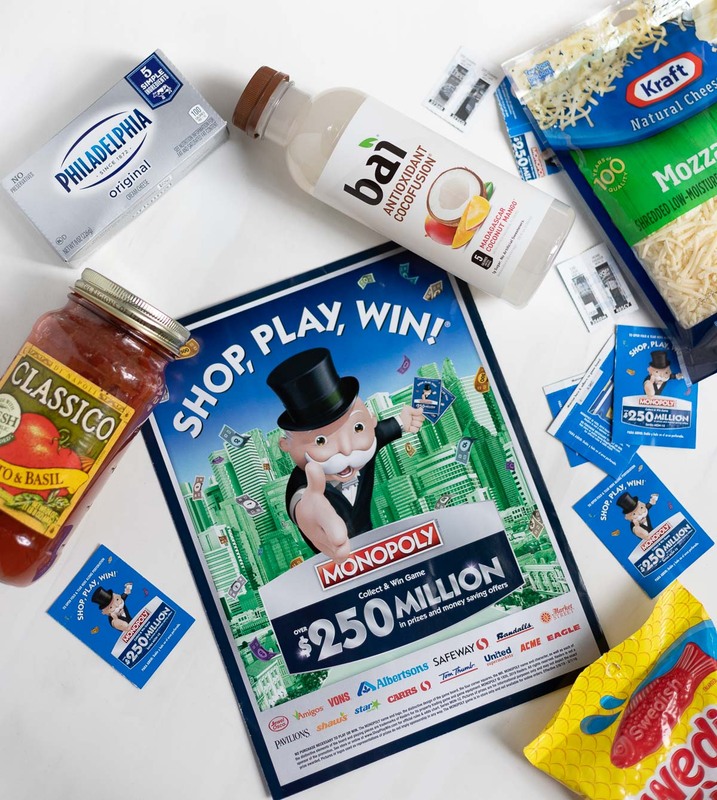 Kraft Shredded Mozzarella Cheese and Philadelphia Cream Cheese are both participating MONOPOLY Collect & Win game products. Plus, I needed them for the Chicken Tetrazzini. So, it’s a chance to win prizes and a guaranteed delicious dinner! Step 1: Sauté the mushrooms and boil the pasta. Step 2: Make the cream sauce, then add cooked pasta. Step 3: Layer ingredients in casserole dish, and bake at 375ºF for 20-25 minutes. 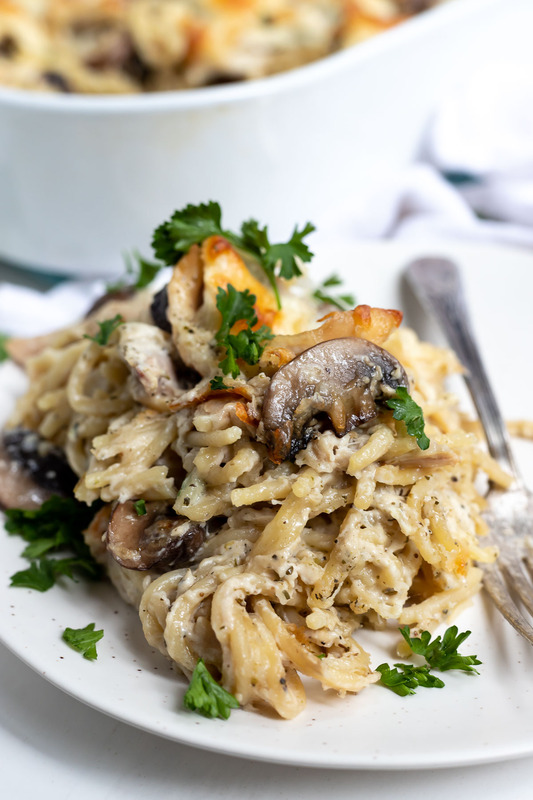 Tetrazzini sauce is a cheesy cream sauce that includes mushrooms. 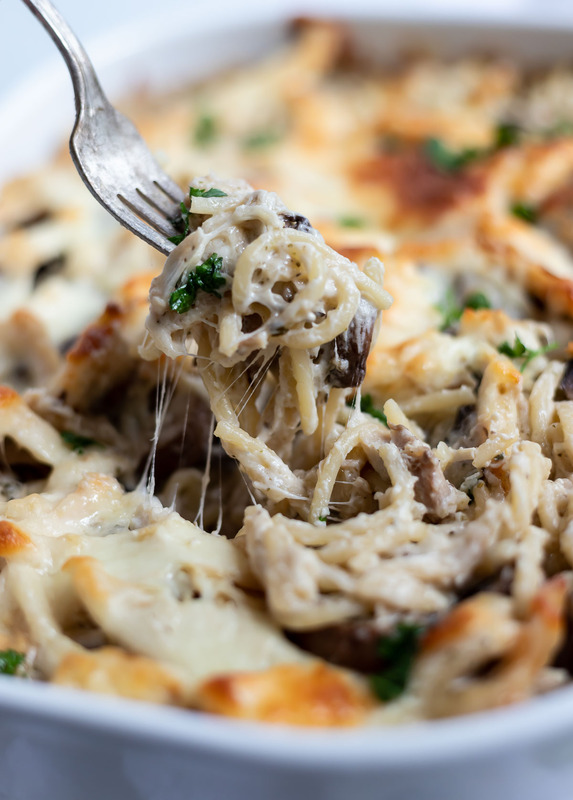 Tetrazzini is typically paired with poultry or seafood. 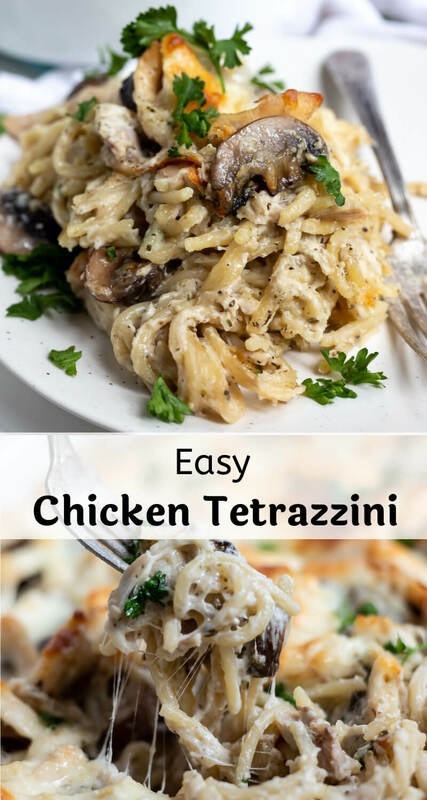 This tetrazzini sauce recipe has a cream cheese base to make it extra quick and simple to make. Head to your local Safeway to participate in the MONOPOLY Collect & Win game and all the ingredients to make this Easy Chicken Tetrazzini. This Easy Chicken Tetrazzini Recipe is the end all, be all of comfort foods. 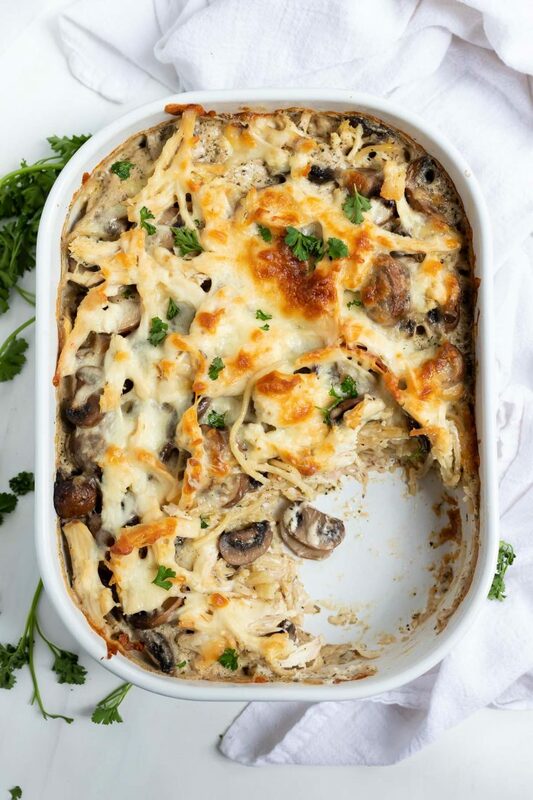 Basically a pasta, mushroom and chicken casserole overflowing with cheesy cream sauce. Even better is how quick and easy this meal is to prepare. Simple enough for a weeknight dinner. In large dutch oven, sauté the mushrooms in the butter and oil over medium/high heat until tender. Remove from pan and set aside. While cooking mushrooms, prepare pasta according to package instructions then drain and set aside. Once mushrooms are removed from pot, reduce heat to medium then add cream cheese, milk, Italian season, garlic powder, salt and pepper. Whisk together until smooth then heat until bubbly and thickened. Approximately 5-10 minutes. Add pasta to thickened sauce and toss to coat. Add half of the chicken, mushrooms and cheese. Transfer mixture to a large casserole dish. Top with remaining chicken and mushrooms then cheese. Bake for 20-25 minutes or until browned and bubbly on top. Serve topped with chopped fresh parsley. 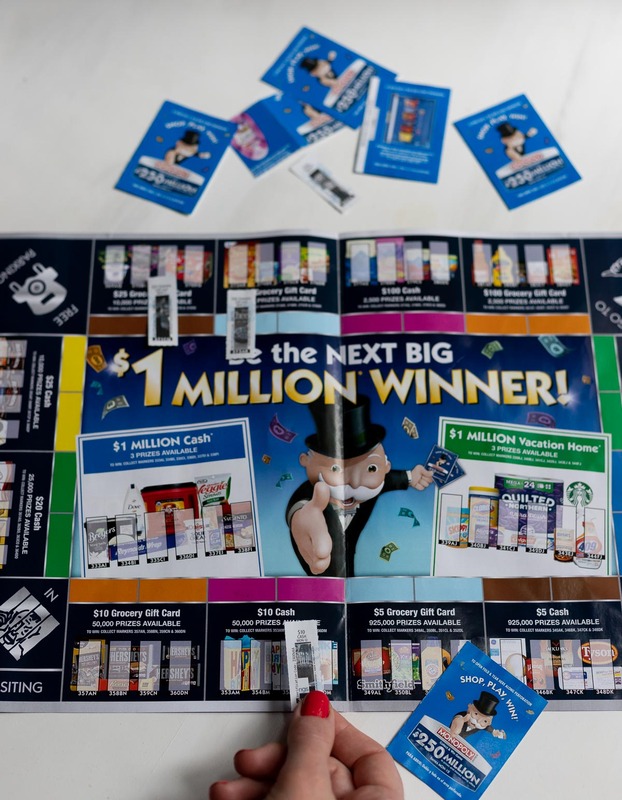 Don’t forget to play the Safeway MONOPOLY Collect & Win game! Nutrition information on this recipe is approximate.